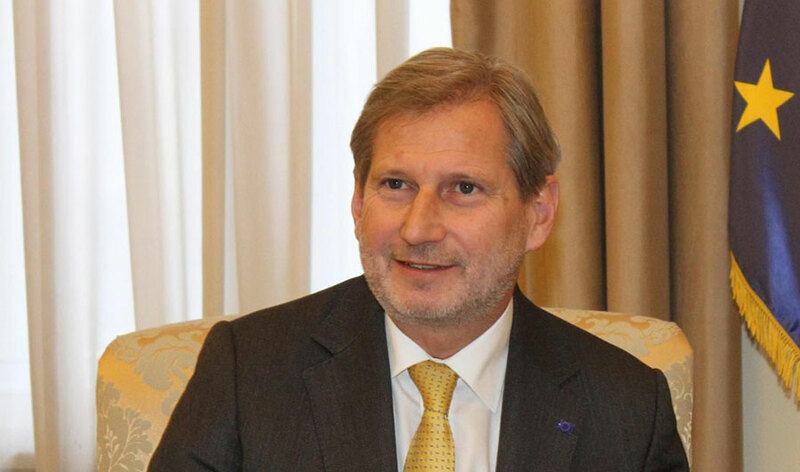 EU Commissioner for European Neighbourhood Policy and Enlargement Negotiations Johannes Hahn told N1 TV that he expected Belgrade and Pristina to reach a sustained legally binding agreement next year. “We have intentionally abstained from suggesting any fixed dates. Discussions are not easy, two sides need space to find a sustainable, legally binding solution. Quality comes before speed, the same as with the enlargement process,” Hahn said. He added that continued dialogue is in the interest of both Serbia and Kosovo. “Kosovo used to say: ‘Why negotiate? The dialogue serves only the interests of Serbia.’ With new Strategy, Kosovo too benefits from the continued dialogue,” Hahn said. European Commissioner recalled that the region was already surrounded with EU Member States and is therefore in the heart of Europe. “In my opinion, this region should be integrated into the EU for security, economic, political and the reasons of social development. However, integration requires certain reforms and measures in order to convince our citizens that each new member is a benefit, and not a burden to the Union,” he said. Hahn deems the economic development important as it will spark the reform in the area of rule of law. Speaking about the Western Balkans Strategy and the year 2025, Hahn said that the EU had held internal discussions on the matter to clarify and set out a possible approach to attaining the final goal, provided that everyone commits to it and does their part of the job. “It is not only a matter of painstaking talks, it’s the nature of the process itself, and the process takes time and no one knows how far away the goal is,” Hahn said. Setting a possible timeframe is therefore important, he said. “It’s important for several reasons: to know that goal can indeed be attainted; to convince people that it can; and to assure that the European Commission is committed to it. I am certain the European Council will adopt the Strategy and thus make a commitment to the indicated date, provided that, I repeat, everyone in the country does their job,” Hahn said. In Serbia’s case, a real chance to kick off the negotiations has not been opened up until recently, he said. “Having that in mind, your country has already made substantial progress. Like I said before, you have to change your mind-set. This region is still inclined to see the world in black and white – you are either a winner, or a loser,” he said. Hahn said that compromise is a likely result of a democratic debate, and making a compromise means that everyone gives up something in order to get much more in the end. “People here need to learn to adapt to certain things every now and then. I believe we can make progress, not only in the area of economy, but in every other field. This is not a standard procedure; it’s a process that takes time as it requires people to adopt a certain behaviour model,” Hahn told N1 TV.